-Soak rice for 8 minutes. Drain water and keep aside. -Heat oil and ghee in a thick bottomed deep pan and fry whole garam masala and onion slices. When they are golden brown add water and let it come to a boil. -Add soaked rice and salt and let them simmer. -When very less amount of water remains cover it and cook on very low heat for 10 minutes. -Stir and scoop. Serve hot with daal or Punjabi kadhi. Tasty and versatile tempered rice are ready to serve. 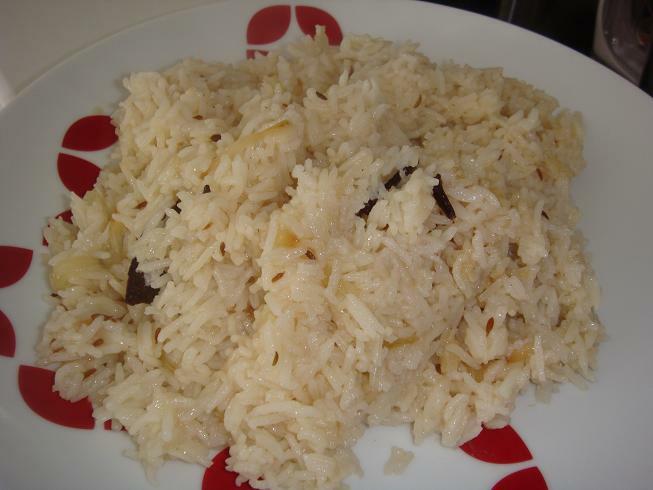 -Soak rice in very less amount of water for 7 – 8 minutes. Not more than that. -Add ghee for tasty and pleasant tempering.